The broadcast and production service provider tpc Switzerland AG relies pm R&S SpycerBox Cell storage solution. The broadcast and production service provider tpc Switzerland AG relies on the powerful combination of the R&S SpycerBox Cell storage solution from Rohde & Schwarz and the IBM Spectrum Scale file system solution. The company, whose clients include the Swiss broadcaster SRG SSR, will use the solution to optimize its workflow as well as to ensure quality and reliability. It was just this past April that Rohde & Schwarz introduced the new, intelligent storage and file management solution at the NAB trade show in Las Vegas. The IBM Spectrum Scale file system on the R&S SpycerBox Cell and R&S SpycerBox Ultra TL considerably facilitates workflows. Together with its partner, system integrator Jordi AG, Rohde & Schwarz landed a project for Zürich-based customer tpc. According to Michael Jordi, CEO of Jordi AG, "As a system integrator, Jordi AG values the expertise of its long-term partner Rohde & Schwarz as well as the professional collaboration with their team. No other manufacturer offers the media industry a product portfolio that can make such a significant improvement in workflow efficiency." As a technology service provider for the media industry, tpc serves clients who demand exceptional quality, accuracy and reliability. Broadcasters must meet the increasing expectations of their audience in an increasingly competitive environment. This makes it imperative for tpc to have technology it can fully rely on. The combination of Rohde & Schwarz storage systems and IBM file management offers this reliability. tpc already has two R&S VENICE ingest and playout servers in house. In the past, two four-channel R&S VENICE servers generated up to 80 read/write streams in parallel to eight automated third-party transcoder systems, each with four transcoding units, all of which had to be managed. The new storage and file management solution will be added to an existing network. The network only has a limited number of ports and there is limited space in the available racks. System integrator Jordi AG came up with the solution to install two clusters – one for read and one for write – each with two R&S SpycerBox Cell units using SSDs in a RAID 6 configuration. IBM SpectrumScale is now used for file management. A 40GbE link using the NSD protocol serves as the backbone for each R&S SpycerBox Cell. A second 40GbE link from every R&S Spycerbox Cell combines two storage units into a SAMBA cluster and connects it to the central 40/10GbE switch. This provides the media links for the transcoder farm as well as the I/O connections for the overall system. 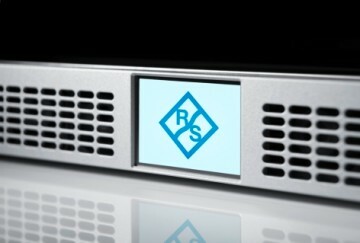 Each R&S SpycerBox Cell uses an additional 10 GbE dual link, running NSD blocks via the central switch to the connected R&S VENICE servers. Separating the systems into input and output clusters optimizes the I/O performance for the massive data rates within each cluster. The solution fulfills all performance requirements within a single system of only four HUs. Please find the case study here. tpc is the leading broadcast service provider in Switzerland. As a subsidiary of the Swiss public broadcasting association SRG SSR, tpc is responsible for all technology and production, including all TV, radio and multimedia contributions, of the Swiss broadcasting company SRF. tpc handles customer projects from different industries in Switzerland and other countries. With state-of-the-art studios, modern workshops and a multifunctional vehicle fleet, tpc sets technological standards and has received many awards.